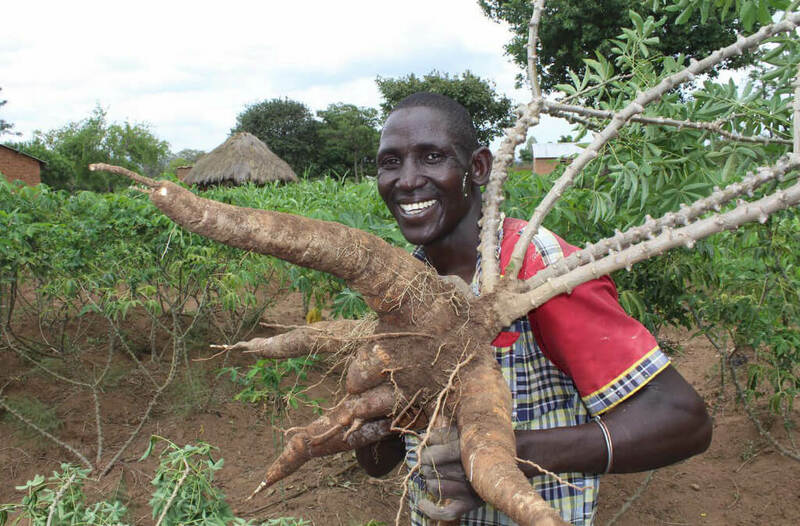 African Cassava Agronomy Initiative (ACAI) will play a key role in addressing problems facing cassava farming in Tanzania to help the country meet the growing demand for cassava. This is according to the Permanent Secretary to the Ministry of Agriculture, Livestock and Fisheries Engr. Martin Mtigunwe. Madam Karima Babangida,(second left) from the Ministry of Agriculture, Nigeria, and Dr Geoffrey Kajiru from the Ministry of Agriculture Tanzania, with the ACAI management team during the annual review meeting in Mwanza, Tanzania. 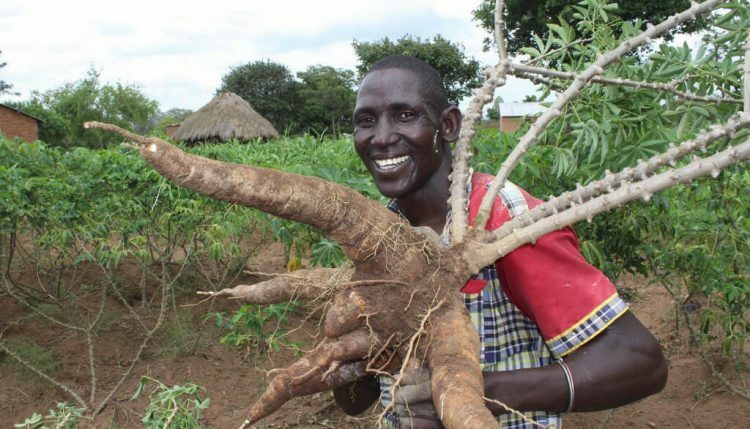 In a statement read on his behalf by Assistant Director for Research and Development in the Ministry, Dr Geoffrey Kajiru, the PS said ACAI technology and innovations will fit into the country’s long-term plans for cassava farmers. “For (Tanzania) to commercialize the cassava crop, we must achieve a collective yield above 2.5 million tons. We are expecting ACAI recommendations to contribute towards this goal,” said Mtigunwe. He said Tanzania had just entered a short-term trade agreement with China to supply cassava to the Asian nation. This, he pointed out, adds to the already growing demand for cassava in Tanzania. ACAI is developing decision support tools that will help farmers improve their yield per hectare and maintain a regular supply of high-quality roots to the cassava processing industry. The Permanent Secretary was the chief guest at the ACAI annual review meeting and planning meeting in Mwanza Tanzania. Tanzania and Nigeria are the tier one countries where ACAI is modeling and developing the tools that will then be scaled to other countries in sub-Saharan Africa. The Ministries of Agriculture in both countries are closely involved in the ACAI activity through their respective research institutions. Farmer visits peer’s farm to view ACAI trials at Kisamwene Village in Butiama, Mwanza, Tanzania. In Tanzania, ACAI is working with Agricultural Research Institute (ARI) in running cassava trials and other research activities. In Nigeria, ACAI works with the National Root Crops Research Institute (NRCRI) and the Federal University of Agriculture Abeokuta (FUNAAB). 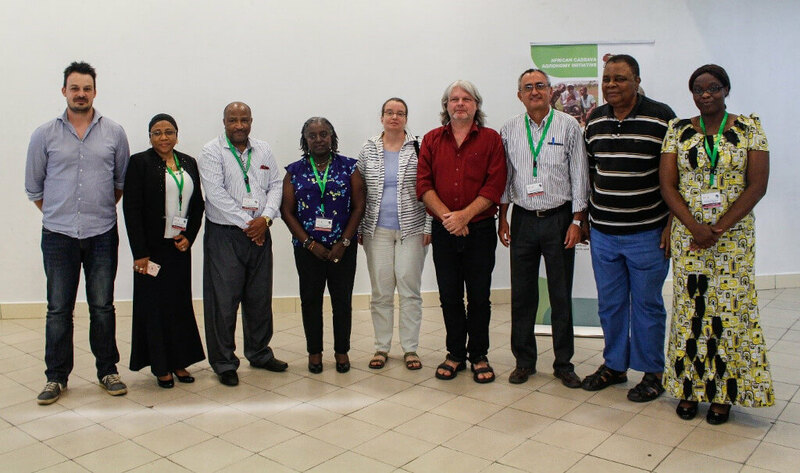 The PS lauded IITA’s contribution towards cassava research and improvement in Tanzania pointing out the introduction of disease-resistant and -tolerant cassava varieties through different projects that have revived cassava farming in regions affected by cassava diseases in Tanzania.